We’d like to expand upon the rather abridged definition of pâte sablée given above by the brilliant Paul Bocuse. It helps to understand that there are three classic quick pastries, or pie crusts, in France, of which pâte sablée is one. Pâte brisée is the basic unsweetened French pastry, or pie crust, traditionally relied upon for savory pies and tarts. Pâte sucrée is, simply enough, pâte brisée with a smidgen of sugar and, hence, appropriate for use with any sweet something.. Pâte sablée, perhaps the rarest and loveliest of the three, boasts a relatively indulgent amount of sugar along with the notable additions of egg and cream, making it the richest, sweetest pie crust known to the French. It’s also reputedly the trickiest pie crust known to the French, the ample sugar creating a more fragile dough to handle. As such, pâte sablée is often simply pressed into the tart pan by hand instead of being rolled, although, we found this particular pâte sablée to be quite a cinch to handle, actually. Despite a rather clumsy approach to getting it into the pan, the pie crust still ends up achieving a sweet, delicate, almost cookielike loveliness. Wondering what the heck to make with it? Pâte sablée is typically reserved for lightweight fruit tarts—you know, those lovely, shimmering French creations in the windows of patisseries featuring a skimpy layer of whatever fruit is in season, typically situated atop a thin schmear pastry cream and brushed with some melted preserves—so as not to overburden the delicate crust with a dense filling. Works for us. 1. Sift the flour onto your work surface and shape it into a mound with a well in the center. Into the well, plop the salt, sugar, egg yolks or whole egg, and 2 tablespoons milk, cream, or water. 2. Using a spoon, stir the ingredients in the well until combined. Then gradually mix in the butter with the liquid ingredients in the well. Finally, using your hands, work the flour into the center of the well to combine it with the other ingredients. If necessary, add another tablespoon milk, cream, or water to create a smooth, soft dough. The dough must not be too firm. Do not overwork it, otherwise it’ll be tough. When it’s ready, the dough will be barely moistened and come together into a ball. 4. Roll out the pie crust dough. It helps to roll it out between sheets of parchment paper or to simply forget rolling and instead press it into two 9-inch tart pans. Proceed with your preferred tart recipe. If you have any scraps of pâte sablée dough left over, reroll the the pie crust, cut into shapes, and bake on a parchment-lined baking sheet at 350°F (177°C) for about 10 minutes. Instant sugar cookies. Pâte Sablée (Rich Pie Crust) Recipe © 2012 Paul Bocuse. Photo © 2012 Jean-Charles Vaillant. All rights reserved. All recipes and photos used with permission of the publisher. I really enjoyed this slightly sweeter, richer version of traditional pastry. With the addition of sugar, egg yolks, and heavy cream, this dough was very tasty and great as the base for a fruit tart. 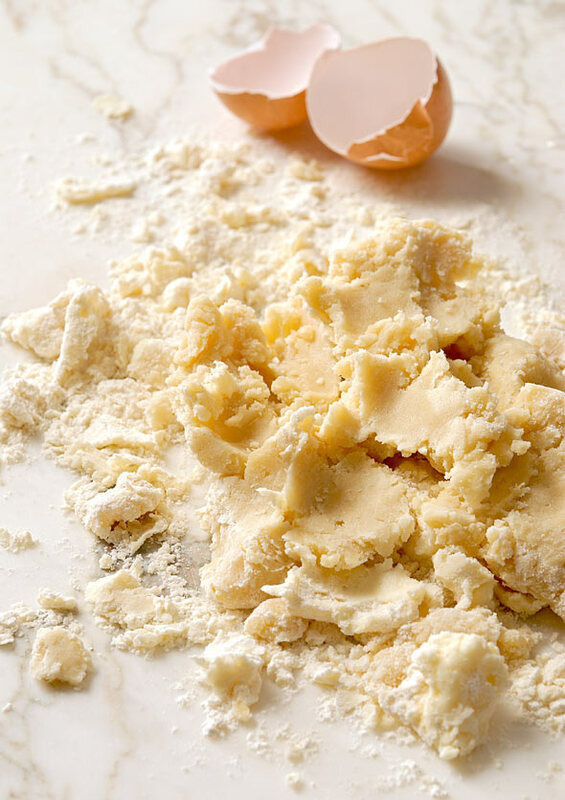 The pie crust recipe made enough dough for four 9-inch pies or tarts. I used 2 large egg yolks in the dough. The method suggested for the recipe was very unique and not unlike making homemade pasta dough with the “well” method. (I wonder, though, if you could place all the dry ingredients in a food processor, then add the butter cut into small pieces, then moisten with the cream until the dough just comes together? The food processor method for making dough is my favorite and is a lot easier to clean up after, in my opinion. I will have to try the food processor method with these same ingredients next time.) When making the dough, I knew it was ready when the dough was just moistened and came together in a ball. I rolled it into 4 equal-size balls and chilled them before rolling them out to press into my tart pan. I used 1/4 of the dough for a blueberry and peach tart in which I pressed the dough into a tart pan with a removable bottom and then covered it with homemade blueberry jam and sliced peaches. I had a lot of dough left over, so I rolled it into balls, flattened them into disks, and placed them in a resealable plastic freezer bag and stashed them in the freezer. A wonderful dough to keep in the freezer and defrost when a pie or tart recipe sounds appealing. This pie crust dough has extra fat and sugar compared to a regular pâte sablée recipe, so it's quite forgiving in terms of rolling and fitting it into a pan. I was able to just press together edges and use cut pieces to patch easily. This recipe produces enough dough for at least two 9-inch double-crust tarts. I didn't like the counter technique for mixing this and will go back to using my stand mixer as it’s a lot faster and less messy. I made a pear tart by rolling out the dough for the bottom, placing it into an 8-inch square pan, covering it with the filling, and then topping everything with more rolled out dough. The flavor was very good, and the dough was easy to work with. I took the leftover dough scraps, pushed them together, rolled them out, and cut them into shapes. Then I put them on a baking sheet, sprinkled them with sugar crystals, and baked them for about 10 minutes. Instant sugar cookies. Great recipe, and when I want something to be richer and moister, I would certainly follow along with this type. For me, it’s usually just flour, water, a smidge of salt, a tablespoon or so of sugar, and about a stick of butter for a simple tart. Always flaky, tender, and good. Yep, that works, too, dontctallmechef. But as you say, when you crave le plus ultra pie crust in terms of richness, this recipe is what you want. Yeah, dontcallmechef, what you’re describing is a classic pâte brisée (minus the sugar), which I use often. Hello. As usual, another delicious looking recipe. Can you tell me, please, how thinly this dough is to be rolled or patted to in the pan? I believe I will be making this soon. GrowerJenn, I try to get it between 1/8 and 1/16th of an inch thick. I find that works best. I’m trying to expand my pie making skills. I’m usually just a cake/cookie/brownie baker so when I do a pie, it’s usually with a pre-made crust. I’ve never tried making pie crust so I scour for recipes to maybe one day be brave enough to attempt. I think I’m up to about 6 but they’re usually of the same ingredients with a tweak here or there. I was wondering if you could use this crust with a more liquid recipe like sweet potato or lemon chess pie? If so, would you have to pre-bake it? Also, I read somewhere that it’s best to use a darker pan to prevent a soggy bottomed pie as it helps in making sure the crust bakes evenly. What pie pans do you prefer using? Hi, Tina. if you’re new to making your own crusts, I’d steer clear of this. it’s a harder crust to work with and is more commonly used as the bottom crusts for tarts. I think this a much better, and more forgiving crust recipe for beginners. Don’t shrink way from it because it has lard. Reports have shown that it’s not that horrible food everyone thought it was. And as far as pans, I always use a glass pan, usually from Pyrex. That way I can really see the bottom and know that it’s baking fully. I was wondering if you could please just help me describe which parts are better for which types of pies I use in which model to make my apple and sweet potato pie but I noticed that it’s really thick and I would like something that’s a little more flaky and not as dense pate sucree vs pate sablee and pate brisee. Mahogany, I think it’s a matter of preference. I use a pâte sucre for tarts, mostly. If you want a flaky, unsweetened crust, use our pâte brisée recipe. If you want a flaky, sweetened crust, use the pâte brisée recipe, but add 3 tablespoons of granulated sugar. Hope this helps. This is NOT Pâte Sablée . It is an enriched basic Pâte Brisée… basically the ratios for the standard all purpose crust brisee enriched with the eggs or may count it a Pâte Sucrée because of the sugar, but that one usually has a bit more sugar. Pâte Sablée is usually a 3-2-1 ratio crust, for example 300 g flour, 200 g butter,, 100g Powdered sugar with an egg or egg yolks…It is supposed to be a sweet crust…500 g flour would need 165 g sugar. 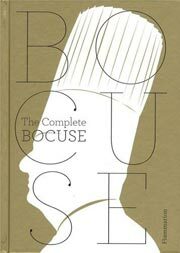 Lailabakes, agreed pâte sablée is traditionally sweeter, but it’s hard to argue with the great Paul Bocuse, one of France’s enduring culinary treasures. But thanks for your formula.